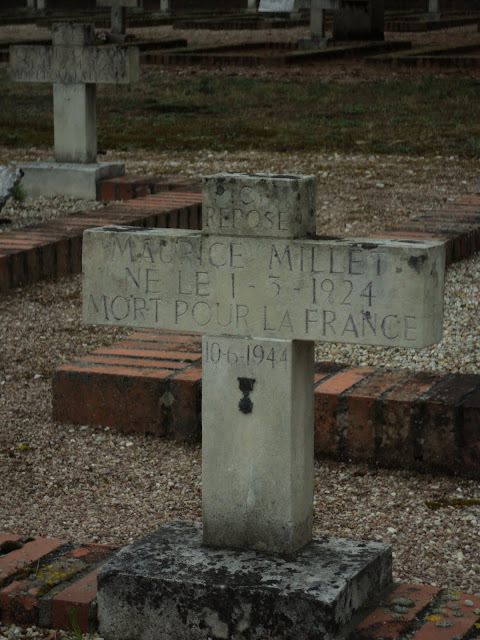 Maurice Millet was the son of a gamekeeper, so he knew the local woods well. In 1942 he was contacted by local Resistance members to work with the network Vengeance. He eventually took responsibility for some young members. He distributed propaganda flyers, helped with recruitment and knew how to handle weapons. However, in September 1943, his network was threatened; his leader, local garage manager Marcel Gorin, managed to escape the Gestapo. For a measure of precaution, Millet was sent to Nice. He returned to La Ferté around the end of May 1944, and reestablished his activities, participating in military instruction, arms handling, etc. He made contacts with students in Paris whom he knew from the Sologne, the local hunting region. Then came the sixth of June, and the students received their orders to meet for a mission. Millet served as their guide. 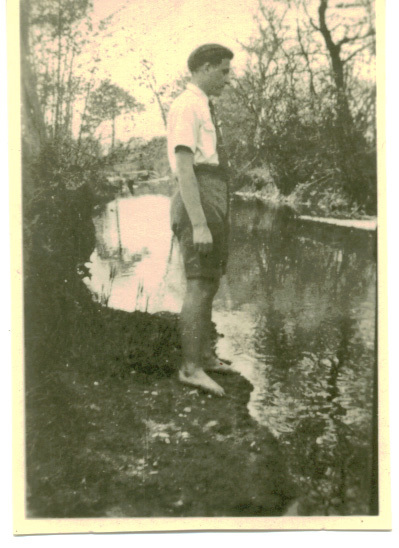 Having received word on June 9, 1944 that their mission had been jeopardized, Millet took the men to another farm to eat and sleep near the Cosson River. But under rainfall the following morning, the Germans took the group back to Ferme du By, where they were shot and executed after having been turned in by a fellow student member to the Gestapo. Today, local townspeople and children will remember Millet and his La Ferté friend Gabriel Beaumarié with an annual ceremony at Bellefontaine cemetery where they were eventually buried. This is the town's memorial to 78 victims--those of Nazi repression in the Sologne (a local geographical and hunting region) as well as the 41 young people executed by the Germans throughout the area on June 10th and at the Cheveau woods in autumn 1944. Each year since 1944, there's been a moving ceremony held by the Prefecture and a representative of the area's Liberté Resistance network. In ceremonies we've attended, local schoolchildren have placed flowers on each grave as the names of victims from throughout the canton are read aloud. It's been a solemn ceremony; few words are spoken; there is subtle background music from local musicians. Following this program, the group then visits the sites of the executions. My son has participated in The Bellefontaine ceremony a few times over the past years, and I am proud that he has done so. I think it's important my children understand the sacrifices these victims made, (as well as those made by their own ancestors in Brittany) during the War. Here lies Maurice Millet, born March first, 1924. Dead for France. He was barely 20 years old. 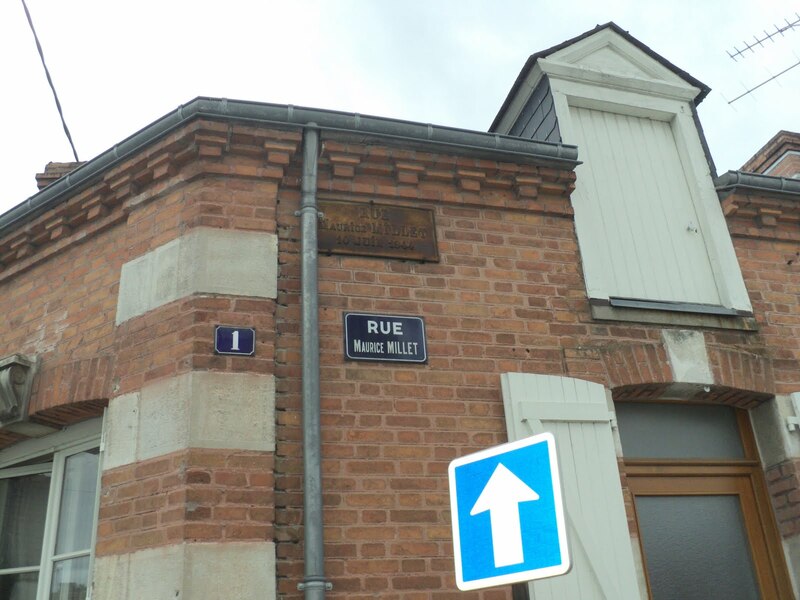 Like his fallen counterpart, Millet has a street named in his honor in town, Rue de Maurice Millet close to our house. It's hard to imagine the suffering his family and friends had losing him in such a senseless way. The traitor, André Parent, lost his case at the Orléans Court of Appeals on January 16, 1945 and was executed by firing squad a few weeks later on February 7.